India alone has over 65 million people afflicted to diabetes and this number is expected to grow to over 100 million in next 10 to 15 years. On a global level, there are over 371 million people who have diabetes. Without any doubt, it is probably the the most prevalent disease in the world. Consider this, globaly 4.8 million people died of Diabetes in 2012 and close to USD 500 billion were spent on this disease. As all of us are aware, Diabetes does not have a permanent cure; regular insulin injections or tablets are the only ways currently available to manage diabetes in people. Companies around the world have been researching for years to get a breakthrough on this disease, but it has not happened yet. But more than the cure, one of the most important issues for people with diabetes face on daily basis is making sure their blood sugar levels are in control. Uncontrolled blood sugar can have some serious complications including permanent damage to eyes, kidneys and heart. 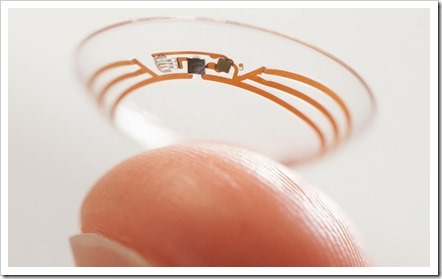 Google X, an arm of Google which works on various futuristic projects that includes self-driving car, internet service through balloons etc has introduced their Smart Contact Lens Project that will help effectively report and manage the blood glucose levels in Diabetic patients. With help of miniature electronics, Google has developed a smart contact lens that can measure and report glucose levels at much higher accuracy. Google is currently testing this smart contact lens built to measure glucose levels in tears using a tiny wireless chip and miniaturized glucose sensor that are embedded between two layers of soft contact lens material. The prototypes build by them can generate a reading once per second. While in the developed countries, most diabetes patients use Glucometer to test their blood sugar levels, in India the scenario is very different. Most people cannot afford these instruments and have to go to testing labs to test their blood sugar levels. The glucometer costs over Rs. 2000 and the strips used to test blood are quite expensive. Indian Government have come up with a solution – The Union Health Ministry of India has launched indigenously built, affordable testing kits for diabetes test. The two glucometers are launched at a price between Rs. 500 to Rs. 1000 and the strips will cost between Rs. 2 to Rs. 4 as against Rs. 30- Rs. 35 that imported strips cost. These glucometers and test strips have been developed by the IIT Mumbai and the Birla Institute of Technology, Hyderabad with funding from the Indian Council of Medical Research. They will be manufactured by Biosense Technologies and will be available in the open market in the next six months. This is surely great news for Indians who need to regularly check their blood glucose levels!